...all of which require the latest technical knowledge together with foreign-language proficiency. Target-language copy is always faithful to the original, both technically and idiomatically. We prepare notarized official translations from and into English of any document, including legal contracts, summonses and complaints, real estate leases and contracts, entertainment law, ships' deck logs, personal papers, academic transcripts, and diplomas. A sworn affidavit is supplied whenever certification is required. Our work is officially recognized and accepted by local and federal courts; city, state and federal agencies, foreign governments; and all universities and educational institutions. Doing business abroad in the language of your target market not only conveys respect and understanding of your colleagues and correspondents, but saves time and expense in ultimately winning bids, negotiating contracts, drafting manuals, or filing claims or lawsuits. We translate any foreign-language text you receive (business, legal, technical or personal, from handwritten documents to jargon-filled e-mails) accurately and quickly into perfect English in order to expedite your response time. Then we can convert your answer into its correct and polished foreign-language equivalent, finished for printing on your letterhead and ready for your signature. We service the world's major and minor banking and brokerage institutions requiring financial reports, tax statements, insurance policies, securities and exchange searches, stocks, bonds and commodities analyses and all other financial subjects. 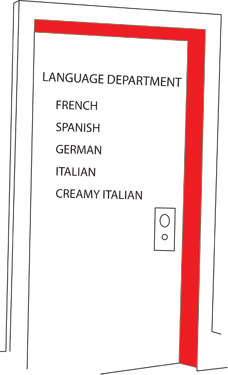 To reach your foreign-language-speaking clientele whether here or abroad, your trade names, slogans, print ads, brochures, videos and other promotional material must be in the language of the market. We translate your copy into its up-to-date equivalent, making certain that your message and artwork fit the cultural and socio-economic background of your customers and prospects. In addition, we gladly edit and proofread your foreign-language set-ups at no extra cost after translating the content in order to ensure you'll look good all over the world! We press to uphold deadlines when it comes to the press!